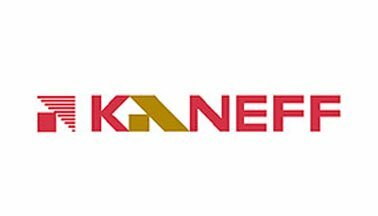 This new condo project is a multi-tower development proposed by Kaneff Corporation .This luxe proposal joins the consistently-growing urban district, providing easy access to shopping, dining, culture and transit. 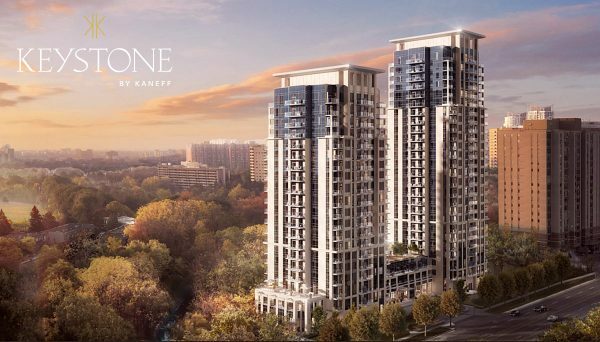 Keystone Condos is a pre-construction development in Mississauga’s Rathwood neighbourhood. An occupancy date for this project yet to be scheduled. 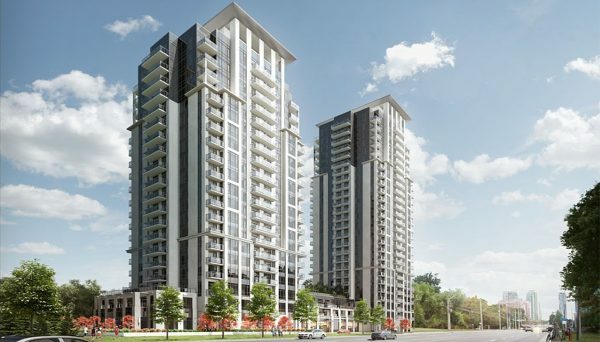 Situated at 202 Burnhamthorpe Road East, close to Hurontario, It will eventually feature two contemporary residential towers reaching 20 and 23 storeys. In total, the project will feature 55 dwelling units with modern, spacious layouts and private balconies featuring panoramic views of the region. The dynamism between the aesthetic and function of the building brings you refined living spaces, versatile to your unique design preferences. All residential layouts enjoy the luxury of versatility and are intelligently designed to accommodate all individuals. Keystone offers various packages of select designer finishes and colour palettes that easily adapt to your unique style and preferences. All units include 9 ft. and 10 ft. ceilings, custom-designed cabinetry, quartz engineered countertops and ceramic tile backsplashes. The bathrooms showcase custom designed vanities, soaker tubs with porcelain wall tile and cutting-edge chrome accessories. From the elegant interiors to the convenience of a concierge to the relaxing outdoor escapes and the refreshing outdoor pool, Keystone is home to an abundant array of inspired amenities. Intelligently designed with modern lifestyles in mind residents will enjoy access to a Fitness Centre, Yoga Studio, Kid Zone, Study Lounge, Private Media Room, Games Room, Pet Wash, Party Room and even Guest Suites - all wonderfully thought out and intuitively integrated. This Mississauga high-rise will consist of two towers at 20 and 23 storeys built across 2.35 acres. 406 dwelling units offer a mix of 1 bedroom plus den suites from 601 square feet. 2-bedroom suites will start from 692 square feet. Family size units, 2 bedroom plus den, will range from 898 to 1,117 square feet each. Balconies and terraces offer residences their very own panoramic view of the cityline as well as the adjacent ravine. Aside from elegant interiors to the convenience of a concierge, Keystone is home to an abundant array of inspired amenities. Intelligently designed with modern lifestyles in mind, the list of amenities include relaxing outdoor escapes like, a luxurious rooftop terrace with plenty of seating, common areas and pockets of greenery. The space will also overlook the city skyline. The refreshing outdoor pool will surely be a building hot spot in the warmer months. Residents will also enjoy access to a Fitness Centre, Yoga Studio, Kid Zone, Study Lounge, Private Media Room, Games Room, Pet Wash, Party Room and even Guest Suites - all wonderfully thought-out and intuitively integrated. The neighbourhood is also close to the area’s main transit hub, connecting several regional bus routes, along with VIVA and GO systems. The upcoming Hurontario LRT, slated to be running by 2020, will provide rapid transit access as far north as Brampton and as far south as Lake Ontario. This is a great time to invest in property on or near the proposed LRT, like this condominium project.